When you think of Christmas one of the iconic symbols that springs to mind is that of a candy cane. Whether it is drawing pictures of candy canes in the North Pole when I was little or hanging them on my Christmas trees, a candy cane really does hold a lot of Christmas memories for myself and I’m sure many other aswell. I have recently really been enjoying the sweet mint scent from Lush. 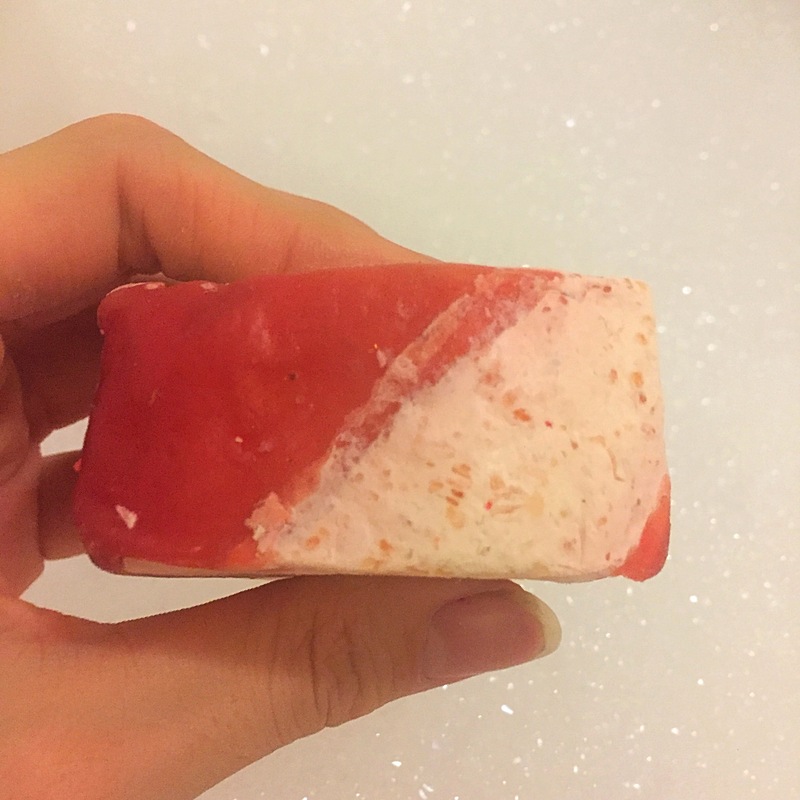 last year Lush released the lovely Salt and Peppermint Bark body scrub and we have also seen the release of the Maypole soap!l which both have lovely minty scents. So I was really excited to see that Lush would be releasing another item with a similar minty scent as part for their Christmas range. 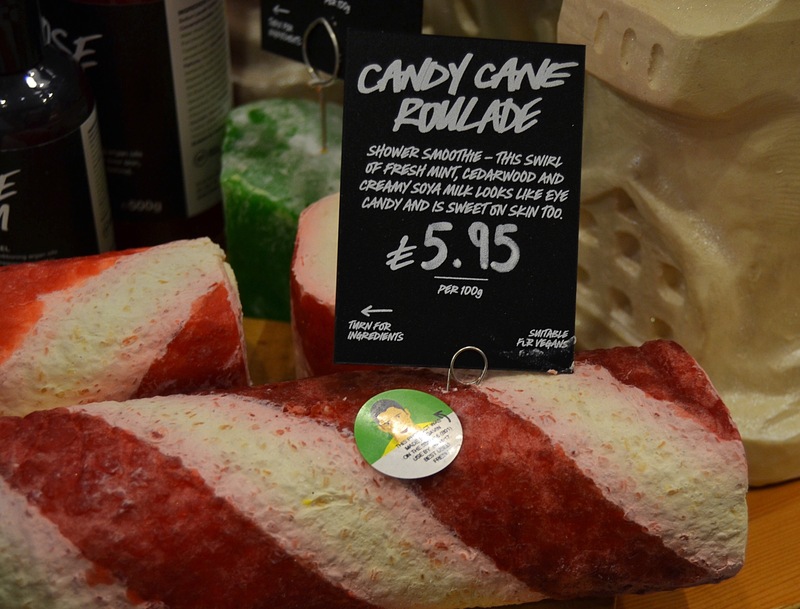 The Candy Cane Roulade is a lovely subtle sweet minty scent and is infact the exact same scent as the North Pole Soap from some years ago. The inclusion of a good helping of coca butter in this product not only makes it very moisturising, but it also adds a lovely creamy element to the scent of this Roulade. Roulades are quite a new concept to Lush and are basically their shower smoothies but without the packaging. The outer edge of the Roulade is made from melon pulp which creates a wrapper effect, meaning there is no need for packaging. I have found that the roulades can be used in several different ways. You can either use the Roulade like you would a bar of soap or my favourite way: to take a good scoop from the Roulade its self and use it in the same way you would the old school smoothies. Roulades create a wonderfully luxurious wash. The texture of the Roulade is very creamy and it feels ever so moisturising on the skin. 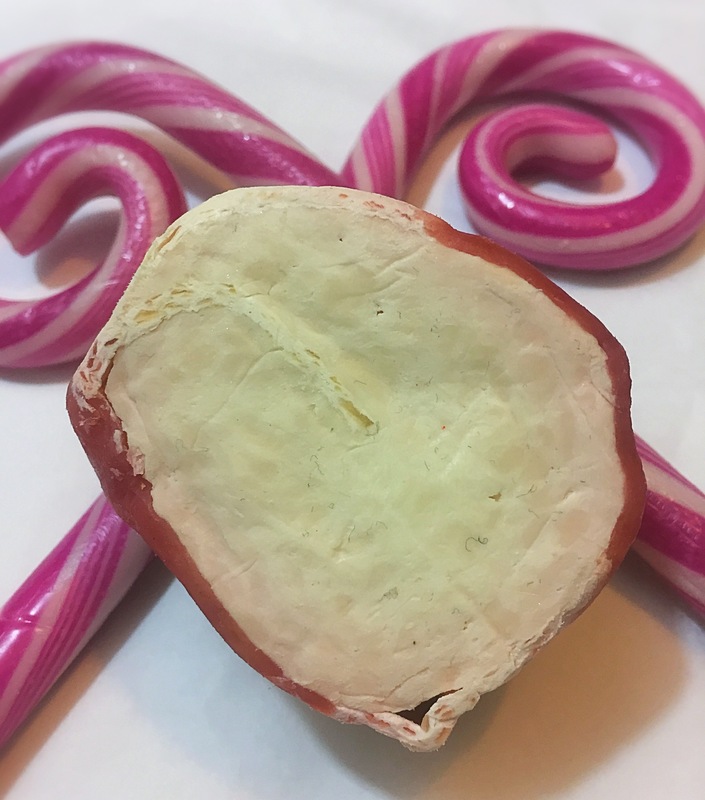 What I love about the Candy Cane Roulade is that it leaves a very delicate sweet mint scent on the skin after use and that the product is so moisturising I didn’t need to use any additional lotion afterwards. 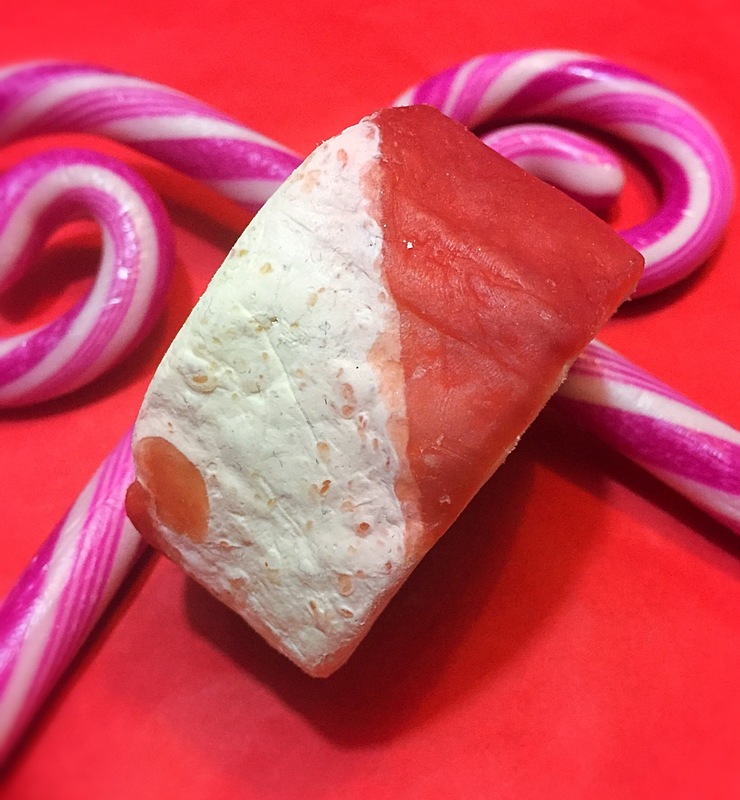 The Candy Cane Roulade is defiantly going to be a firm favourite of mine this winter, as a way of adding a little extra moisture to my skin over the colder months. I dont have any stores in my part of my country so i have to order online! Could probably ask for a sample there too.